For many people the performance of the Physiospect seems too fantastic to be possible. To anyone still with the Newtonian concept in physics, the performance of the Physiospect seem to be pure science fiction. Straight out of Star Trek. But Quantum physics has now taught us that everything in the universe is frequencies. And the Physiospect operates on frequencies. Every organ, every cell in the body, every pathological condition, every bacteria and virus has a specific frequency. A whole branch of medicine was founded on the healing effects of certain Tesla coil frequencies. 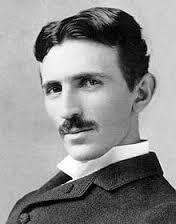 Tesla understood the therapeutic value of high-frequency vibrations. He never patented in the area but did announce his findings to the medical community, and a number of devices were patented and marketed by others. 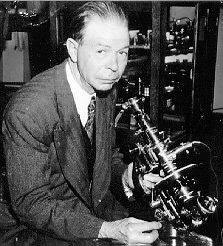 Patients, by focusing certain frequencies on afflicted areas, or, in some cases, just sitting in the vicinity of vibrations from a device like the Lakhovsky Multi wave Oscillator, which produced a blend of specific frequencies, were said to have experienced relief from rheumatism and other painful conditions. It was even considered a cure for certain types of paralysis. Such radiation's increase the supply of blood to the area with a warming effect (diathermy). They enhance the oxygenation and nutritive value of the blood, increase various secretions, and accelerate the elimination of waste products in the blood. All this promotes healing. Electrotherapists even spoke of broadcasting vitamins to the body. Reversals of cancer tumour growths have been documented. Lakhovsky predicated science will discover, some day, not only the nature of microbes by the radiation they produce, but also a method of killing disease within the body by radiation. Electrotherapy devices were sold directly to the public via ads in popular magazines and in the Sears catalogs. Self-treatment was widespread. This easy access to treatment of all sorts of conditions led to the eventual suppression of the technology by the medical establishment. Electrotherapy, however, is making a big comeback. In chiropractic and sports medicine, low-frequency AC and DC pulses are being used to kill pain and exercise muscles. High-frequency electrotherapy is coming back in alternative healing practices. There is an increasing appreciation of the electrical nature of biological functioning and that some electric vibrations in the environment are harmful while others are healing. Reprints of Lakhovsky's works are widely read. There is a growing conviction that cancer can be effectively treated with high-frequency therapies. 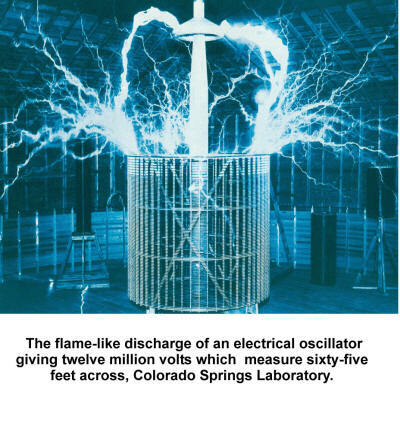 Nicola Tesla ( 1856-1943) created the Tesla coil which is still in use today. In a white Portakabin in Clamart, in the unfashionable outskirts of Paris , a tiny heart, propped atop a bit of purpose-built scaffolding, carried on beating. It was being kept alive courtesy of a small team of French scientists, who administrated the right combination of oxygen and carbon dioxide, part of the type of state-of-the-art surgical technique used for heart transplants. There were no surprises here. As expected the histamine and acetylcholine produced increased blood flow in the coronary arteries, while the mepyramine and atropine inhibited it. The only unusual aspect of the experiment was that the agents of change weren't actually pharmacological chemicals but low frequency waves of electromagnetic signals of the cells recorded using a purpose-designed transducer and a computer equipped with a sound card. It was these signals, which take form of electromagnetic radiation less than 20 kHz, which were applied to the guinea pig heart, and were responsible for speeding it up, just as the chemical themselves would. The signal effectively could take the place of the chemicals. They were beginning to demonstrate in the laboratory what Popp had proposed: Each cell in the universe has a unique frequency. Imagine, for a moment, that you have spent more than two decades in painfully laborious research-- that you have discovered an incredibly simple, electronic approach to curing literally every disease on the planet caused by viruses and bacteria . Indeed, it is a discovery that would end the pain and suffering of countless millions and change life on Earth forever. Certainly, the medical world would rush to embrace you with every imaginable accolade and financial reward imaginable. You would think so, wouldn't you? Unfortunately, arguably the greatest medical genius in all recorded history suffered a fate literally the opposite of the foregoing logical scenario. In fact, the history of medicine is replete with stories of genius betrayed by backward thought and jealously, but most pathetically, by greed and money. Perhaps you should take your discovery to the pharmaceutical industry; certainly it would be of great interest to those protectors of humanity, right? But remember, you have developed a universal cure which makes drugs obsolete, so the pharmaceutical industry just might be less than thrilled to hear about your work. In fact, the big shots might even make it certain that your human disease-ending technology never sees the light of day, by preventing it from becoming licensed by the regulatory agencies. Now, assuming your amazing cure is an electronic instrument, the only cost of using it is electricity. And it is absolutely harmless to patients, who can recover without losing their hair, the family home, and their life savings. So, with your technology, there is no longer any reason for people with cancer to pay over $300,000 per patient -- to become deathly ill from chemotherapy, radiation treatments, and the mutilation of surgery. It sounds like you won't find many friends and support among practicing oncologists, radiologists, and surgeons, doesn't it? If you have never heard of Rife before, prepare to be angered and incredulous at what this great man achieved for all of us only to have it practically driven from the face of the planet. But, reserve your final judgment and decision until after you have read this. Of course, some may regard this as just an amusing piece of fiction. However, for those who are willing to do some investigating on their own, there will be mentioned several highly-respected doctors and medical authorities who worked with Rife as well as some of the remarkable technical aspects of his creation. However, in the final analysis, the only real way to determine if such a revolutionary therapy exists is to experience it yourself. The medical literature is full of rigged 'double-blind' clinical research tests, the results of which are often determined in advance by the vested corporate interests involved. He also witnessed the phenomenal growth of the American Cancer Society, the Salk Foundation, and many others collecting hundreds of millions of dollars for diseases that were cured long before in his own San Diego laboratories. In one period, 176,500 cancer drugs were submitted for approval. Any that showed 'favourable' results in only one-sixth of one percent of the cases being studied could be licensed. Some of these drugs had a mortality rate of 14-17%. When death came from the drug, not the cancer, the case was recorded as a 'complete' or 'partial remission' because the patient didn't actually die from the cancer. In reality, it was a race to see which would kill the patient first: the drug or the disease. The inevitable conclusion reached by Rife was that his life-long labour and discoveries had not only been ignored but probably would be buried with him. At that point, he ceased to produce much of anything and spent the last third of his life seeking oblivion in alcohol. It dulled the pain and his acute awareness of half a century of wasted effort - ignored - while the unnecessary suffering of millions continued so that a vested few might profit. And profit they did, and profit they do. Acupuncture is a very ancient form of healing which pre-dates recorded history. Yet it has only been accepted in the West in the last few years, since Richard Nixon's visit to China . And the concept is over 4000 years old. It gained recognition because of its success in treating the many disease epidemics rampant at the time — including scarlet fever, typhoid, cholera and yellow fever. The school's method of treatment became very popular in the early 1900's. At that time, there were 22 homeopathic medical schools, 100 homeopathic hospitals and over 1,000 homeopathic pharmacies. Boston University , Stanford University and New York Medical College were among those educational institutions that were teaching homeopathy. However, it was not long after this period of time (in the early 1920's) that many of the schools closed — mostly due to the decline of homeopathy's popularity which was greatly effected by the American Medical Association. This was also around the time when modern drug companies began releasing drugs that were easy to administer to patients, a trend that also contributed to the decline of homeopathy. In homeopathy a substance is diluted again and again till nothing remains of the original substance, only the memory and the frequencies which are stored in a carrier- water - sugar pills or alcohol. But when the renowned French scientist Dr. Beneveniste was able to prove that water has memory, he was given the choice by his university of either retracting his statements or loose his job. He refused to retract his findings. So there really is nothing very new or science fiction about the Physiospect. The concept has been around for ages, and NLS diagnostics has been used successfully in Russian hospitals for over 10 years. It just is not well known in the rest of the world. It is only now, with the advent of the digital age and small computers with lots of memory and capabilities that it has become available to everyone. We can now all be healers. A few years ago we had a famous heart surgeon from Turkey participating in our fasting/detox program at. www.moinhos-velhos.com He believed that a fasting program such as ours would be beneficial for his heart patients. When I had him on my computer with the QXCI/SCIO he was most impressed with the program. But he also stated that in his hospital in Ankara he had a unit that he believed I would be interested in seeing, and he invited me to Ankara . I was certainly interested, but then I asked him what the cost of his unit was. The price was $1.200,000.00 (One million-two hundred-thousand-dollars). And the unit could only analyse, not treat. Slightly out of my class, but as I understand it this is an average price, or more, for fancy hospital equipment. I did find what I was looking for in the Physiospect, at a fraction of this cost. The Physiospect is even less expensive than the SCIO. All-in-one diagnostic device of causes and targeted therapy. Make a blood analysis in minutes. The Physiospect is ideal as a prevention as it detect problems within the system, before there are any visible symptoms. Thus the many problems so common today, like most cancers, prostrate problems, diabetics, heart diseases, respiratory problems etc.etc when detected early can be reversed and avoided. The unit is also particularly effective in eliminating joint problems. But the most rewarding aspect of being a Physiospect therapist is being able to help clients with their problems. All of which is extremely rewarding for the therapist.